Part II - Pöge-Haus e.V. : Pöge-Haus e.V. Roots and Sprouts – Musik aus dem Mittelmeerraum und dem Nahen Osten ist ein Projekt des Pöge-Haus e.V. Isabel Martín has been attracted by the observation of cultural identities since she was a child. She has studied Spanish singing and percussion at the Traditional Culture School in Salamanca and later she was immersed in it with Eliseo Parra, from whom she is still learning nowadays. Since 2009 Isabel has travelled several times to Bulgary and Greece in an attempt to learn from other musical traditions. 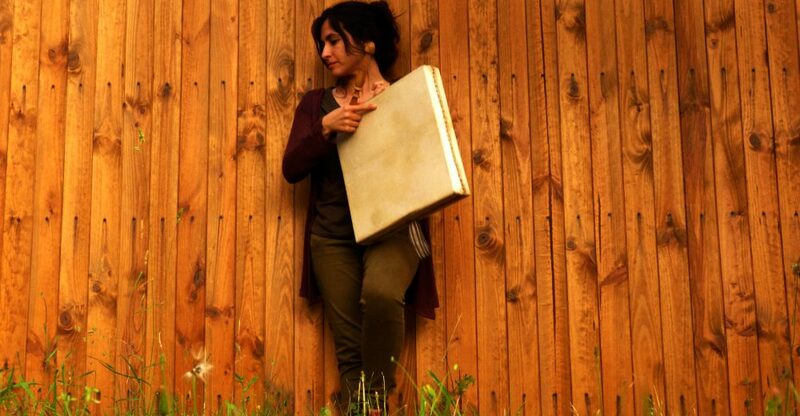 She has studied techniques of Bulgarian and Turkish singing with Tsvetanka Varimezova and Mercan Erzincan, modal music with Efrén López and Christos Barbas, Middle East percussion with Zohar Fresco and Square drum with Aleix Tobias. In 2008 she created the project Milo ke Mandarini together with Carlos Ramírez to present the Mediterranean musical roots from a new perspective, creating contemporary melodies and songs inspired by folk culture. With this project, she has perfomed in some of the most prestigious festivals in Spain and other countries all around the world. Composition and arrangement for percussion ensemble. Advanced techniques with the square frame drum and adaptation of traditional rhythms from the Mediterranean Music cultures (Spain, Middle East). Sunday (ADVANCED): work in the whole group with the other lecturers. Bringing together the previously worked out in the ensemble context. Multi-instrumentalist and composer (New Music), specialized in woodwind instruments. Since the age of seven, he has been busy with music. 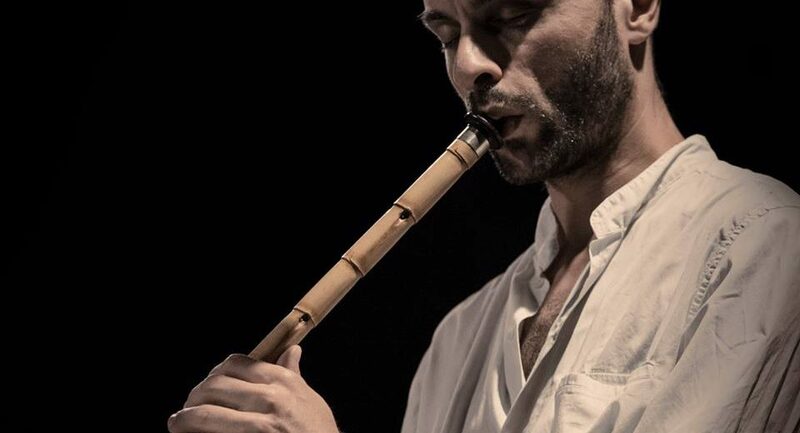 Since 18 years he focuses mainly on the study of the Ney (oriental long flute) as well as Sufi and traditional Ottoman music. He learned from outstanding Masters from Greece and Turkey. 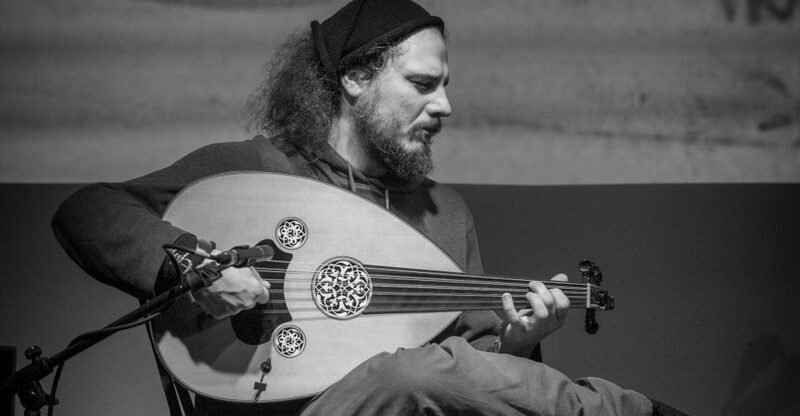 In parallel, he dealt with other instruments (kaval, bansuri, Irish flutes, bagpipe, accordion, guitar) and learned from Bulgarian, Indian, medieval traditions and familiarized himself with renaissance, contemporary and improvised music. His greatest interest in music, however, is its inherent timeless power, which enables people to connect and to be creative. For him it is also a path of self-knowledge. Saturday (ADVANCED): For singers and players of wind instruments (max 15 participants). Songs from Greece, Bulgaria, Turkey and adjacend music traditions. We will work on a traditional piece. Depending on interests of the participants, insights to aspects of improvisation and composition in modal music will be given. Sunday (ADVANCED): Joint work in the whole group with the other teachers. Bringing together the previously worked out in the ensemble context. Passionate from a young age about rock music from America and overseas, he quickly became the nightmare of the best electric guitar teachers in the area. At 20 he was dazzled by interest in modal music from outside Europe thanks to the work of Ross Daly and took up the study of Turkish oud and other cordophones played with a plectrum, making frequent trips to Greece and Turkey. He studied with many renowned maestros: Yurdal Tokcan, Omer Erdogdular, Murat Aydemir, Daud Khan Sadozai and Ross Daly himself. A meeting with the members of Ensemble Micrologus inspired his interest in European medieval music and in plectrum lute. He quickly became one of the most appreciated soloists and teachers specialising in Italian trecento repertoire. Since 2013 he has been studying medieval lute at the Schola Cantorum in Basel Switzerland under the guidance of Crawford Young, marking his first experience of academic music study. He regularly works with many artists and musical projects in the world of early, eastern and non-classical music including Ensemble Micrologus, Ensemble Calixtinus, Ensemble Exaquier, La Contraclau, Ensemble Trenca Cantsilena, Ensemble Bahar, Mose Chiavoni, Vinicio Capossela. He has performed in the most prestigious festivals both in Italy and around the world. Saturday (ADVANCED): For interested instrumentalists with stringed instruments (max. 15 participants). Furhter introduction to modal music. In this seminar we will examine and attempt to put into practice the necessary changes in approach and mindset which are essential from the very beginning of one’s study, in order for a western-trained musician to successfully approach non-European (or even early European) modal musical traditions. During the seminar we will attempt to define and explore the common ground on which all of the major modal systems operate and, through the medium of specially devised exercises, we will learn how to assume a modal perspective in our improvisations, compositions, and performance of traditional repertoire. Sunday (ADVANCED): Joint work in the whole group with the other lecturers. Bringing together the previously worked out in the ensemble context.